Our architectural tour of Columbus, Indiana, continues with a short walk from the Cleo Rogers Memorial Library to the St. Peter’s Lutheran Church. 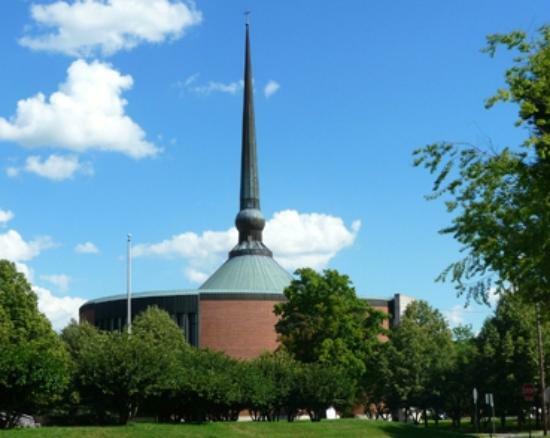 Designed by Gunnar Birkerts in 1988, St. Peter’s Lutheran Church was the second project of Birkerts’ in Columbus (the first being the Lincoln School, now called the Columbus Signature Academy). 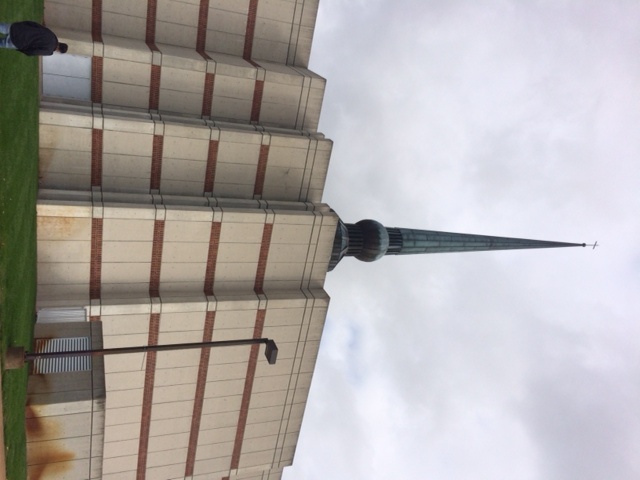 The copper-clad spire was influenced by spires from Birkerts’ native Latvia. The Church staff were gracious hosts and let us go look in the sanctuary (and they also commented that in the last couple of weeks, they had tourists from Italy, Brazil and Belgium tour). The view inside the church is spectacular. With the ability to seat 1000, the sanctuary is a beautiful vision of maple wood and natural light amid textured and curved surfaces.